We have almost made it. The light at the end of the tunnel is approaching. We have broken down fall camp in about as many ways as physically possible and are craving every ounce of football information we can get. Predictions have been made and opinions have been formed, now it is time to put my predictions out there for everyone to see. Disagree? Give me your thoughts! You are also free to screenshot these and save to make fun of at a later date. I know this may not seem like too much of a stretch, but it is towards the upper end of what people are expecting. 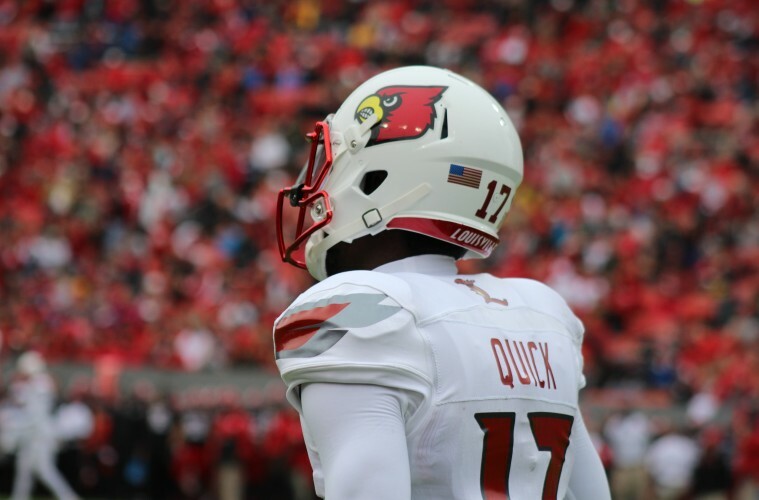 Louisville is talented and deep enough to go 11-1, plain and simple. There will be a some games where the offense will “struggle” but thankfully Coach Grantham has a loaded defense that can help carry the load at those times. Get the punting/kicking situation straightened out and this is a very well rounded, talented, and deep team. Quick note, I think Louisville will definitely struggle in some games, possibly against much inferior opponents, I just think this years team will be able to close those games out with a win due to experience. Heading to Clemson to face a team that played in the national championship last year and returns loads of offensive players will be a challenge to say the least and I don’t think Louisville is quite to that level. Florida State will be starting a redshirt freshman in his 3rd collegiate game (Fields and Hearns will be salivating) and neither FSU or Houston return a large chunk of players (FSU returns 64%, Houston returns 57%. 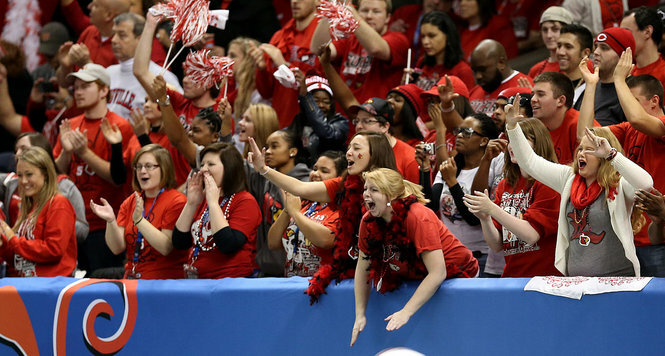 For comparison Louisville returns 89%). They will both be formidable opponents, don’t get me wrong, but I think Louisville has the talent to beat both. There was not a defensive player in the nation that had as good of a second half of the season as Fields did. I think one of the most amazing parts is that he came to Louisville out of shape and not knowing the defense and managed to contribute in the ways he did toward the end of the season. With a full off-season to learn the defense and work in the strength and conditioning program the sky is the limit. One overlooked factor? Defenses won’t be able to key on Fields with Richardson, Brown, and Hearns anchoring the rest of the line. I’m not going to say he will lead the team in receiving, although I thought about sticking that out there. With so many top quality targets I can’t say for sure where he will stack up in total yards/TD’s. What I can say is I think we will finally see the James Quick fans have been hoping for. He appeared to be very comfortable with Jackson last year, the offense is primed to explode, and most teams will be putting their best DB on Jamari Staples. All those factors being considered, I think Quick has a huge year. 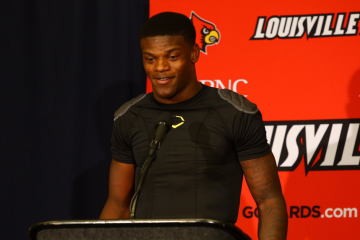 Going back to Louisville’s returning talent (89%), I think both the offense and the defense are capable of ranking in the top 25 nationally this year. In order to do this the defense will have to figure out how to replace production from Rankins and Burgess while the offense hinges around the offensive line taking a large step forward. I think the difference in the defense will come with the increased experience in the secondary. While coverage was questionable at times last year, I feel this unit could make large strides this year and become a strength of the defense. Conversely, the offense will benefit from consistency. 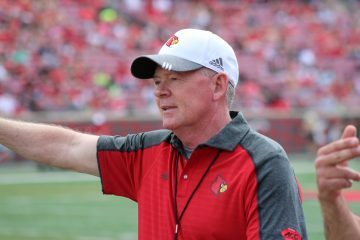 There is no questioning the talent in place, now it is time to execute and a Petrino team that returns 99% of offensive production is a team to fear. As I mentioned above, I think that Devonte Fields will take ACC defensive player of the year honors, which opens the door for Hearns. What better situation for James Hearns than to have a feared, known pass rusher on the other side? Offenses will game plan around Fields and opposing QB’s/O-lines will be watching him like a hawk. All reports out of camp indicate Hearns has really taken a large step and is a beast himself. This appears to be a perfect storm for Hearns. Look for him to get some pretty significant NFL draft hype following the season.